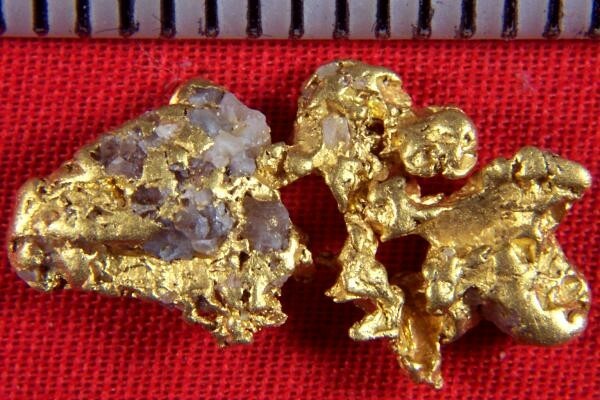 Alaska Gold Nugget - Ganes Creek - 3.5 Grams - - It's Free! This 3.5 Gram Alaska Gold Nugget from Ganes Creek in Alaska is a real beauty. It has a touch of quartz and has a huge surface area for the weight. The color of the gold is awesome. 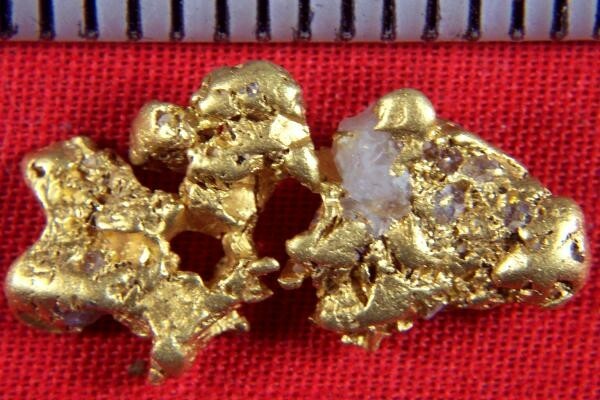 This is one of the nicer Alaskan gold nuggets that I have seen come out of Ganes Creek. I only have a couple of Alaska Gold Nuggets from this location, so get them before they are gone.